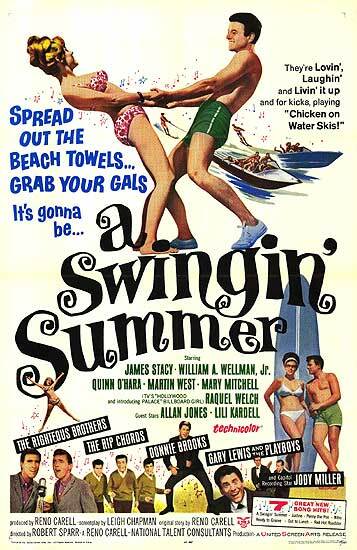 Celebrate the approaching darkness of winter at the International House on Thursday, December 15 with a screening of 1965’s A Swingin’ Summer, a rare (VHS-only) entry into the beach party genre presented on 35mm by Jay Schwartz and his Secret Cinema. Richie Rotkin of the “surf frat” group The Rip Chords, featured in the film, will appear in person for an introduction and Q&A. Check the Secret Cinema site for details.